Starz made Droughtlander a lot easier to suffer through, announcing today that Outlander has been renewed for seasons five and six. The network also confirmed that the popular series based on Diana Gabaldon’s bestselling books will return for season four in November 2018. Filming is currently underway on season four’s 13 episodes. 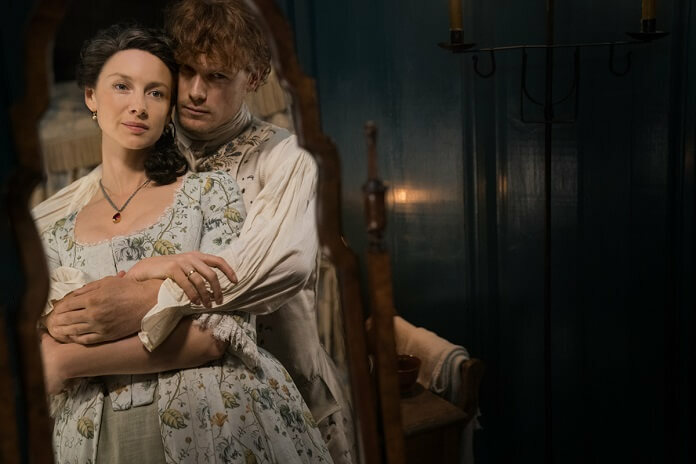 “Fans can rest assured their beloved Claire and Jamie will be back facing new challenges, adversaries, and adventures in seasons five and six as we delve into American history and continue the story of the Frasers as they settle in the New World,” said Chris Albrecht, Starz President and CEO. According to the official announcement, season five will consist of 12 episodes and will be based on The Fiery Cross. Season six will also consist of 12 episodes and will be adapted from Gabaldon’s A Breath of Snow and Ashes. The cast of season four is led by Caitriona Balfe and Sam Heughan. The cast also includes Richard Rankin, Sophie Skelton, Lauren Lyle, César Domboy, Maria Doyle Kennedy, and Ed Speleers. Starz broke the news to fans via the show’s official Twitter account and star Caitriona Balfe was quick to respond to the good news.